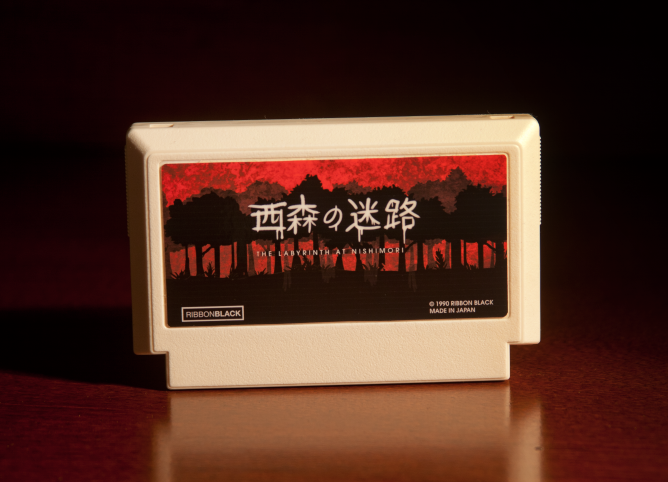 A graphic adventure horror game for Famicom. A group of friends become separated during a week-long hiking trip through a great forest called Nishimori. As one of the unlucky teens, you find that you’re more than lost—the forest itself has turned against you! When your friends begin to come back from the darkness of the labyrinth, you’ll wish they had stayed lost. 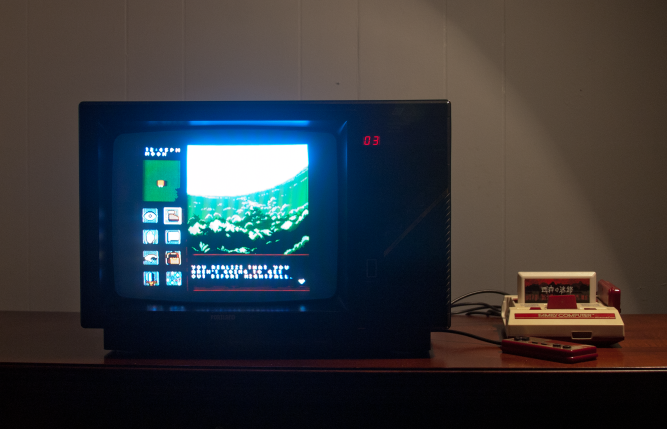 The style of gameplay can be compared to the classic graphic "Macventure" style games on NES/Famicom like Deja Vu, Shadowgate and Uninvited. Surprise deaths and esoteric puzzles are the order of the day. Gameplay takes place over five in-game days—wander aimlessly and you’ll run out of time. Can you solve Nishimori’s riddles and escape, or will you join your friends in the forest forever? Technically I believe the title would be more like "The Maze of Nishimori", but maybe the developers gave it an inaccurate English title; sort of like how the Japanese title for Attack on Titan (Shingeki no Kyojin) would be closer to "Advance of the Giants". Stay tuned for more Halloween posts! Are you able to do requests? Is this game completely in English? Now here's some Creepypasta fodder! Follow up on my previous note... anyone willing to volunteer to do a Let's Play of this game? I've not seen anyone play this game and post the video on YouTube.